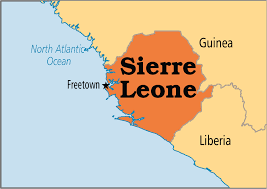 Non-Governmental Organizations and civil society in Sierra Leone have renewed their call for the government to review a new policy aimed at tightening regulation of their operations. Activists say the policy, which is soon to become law, will hamper their work as watchdog in society if it is implemented in its current state. The new Development Framework Document is the brainchild of the administration of former President Ernest Bai Koroma, which had argued that it wanted to increase government’s oversight of the activities of the non-state actors thereby ensuring the effective utilization of public resources. place a minimum of four staff, which does not include cleaners and drivers, before commencement of operations. An even more controversial provision is that all NGOs and CSOs should align their work or development programs to the government’s development program. In other words, the government’s identified priorities should be the priorities of the NGOs. The activists say this has the tendency to prevent rights-based organisations, for example, from pursuing human rights issues. In December 2018, Cabinet under the current President Julius Maada Bio reportedly approved the document. And this week the campaign against the policy was reintroduced. Some of the country’s leading CSOs and NGOs convened a press conference in Freetown on Monday where they called on the new government to review the document. Ibrahim Tommy, Executive Director of the Center for Accountability and Rule of Law, is one of the leading voices against the document. He said these are just three of many “entry barriers” created by the new policy and which has the tendency to curtail their operations. When the last government announced plans to introduce the policy, civil society and NGOs at the time expressed concern over it. And there have been wide range of consultations between activists and government representatives. But according to Mr Tommy, the last government decided to ignore most of the recommendations they made.